By tapping into a deep reserve of neo-populist resentment and frustration, the Canadian version of the Yellow Vests has — in less than two months — manifested as perhaps the most cohesive right-wing protest movement this country has seen in its recent history. But what began in France as a grassroots protest against widening economic inequality has, in its spread to Canada, taken on a decidedly xenophobic tone. While the Canadian Yellow Vests have some grievances in common with their French forebears, chiefly concerning economic disparity and unemployment, their message has been decidedly more hateful from the beginning. A quick scan of the primary Facebook group, through which nation-wide protests are coordinated among its 108,000 members, turns up deeply xenophobic and often violent messages. Many of these posts have been taken down, and the group itself even seems to conduct some internal moderation of the more insalubrious statements. The group’s creator and administrator, who goes by “Tyler Malenfant,” tells CANADALAND in a message that although it sometimes “takes a bit of time,” they do remove posts that “cross the line.” Members of the group frequently deny there is anything hateful or racist about the movement. But there is also a conspiracy theory circulating within the group that Facebook is part of the recent media “bailout,” effectively functioning as an arm of state propaganda. Among those promoting the theory is Malenfant. Malenfant has a history of racist, anti-Semitic, and bigoted comments online, as painstakingly documented by Anti-Racist Canada, a long-running project tracking the country’s far right. Asked by CANADALAND about these statements, Malenfant claims that Anti-Racist Canada’s screenshots are “fake” and “a fabrication”; he previously said the same thing to StarMetro Edmonton about screenshots they themselves took. In response to questions about specific threats of violence, a Facebook spokesperson refers to the company’s policies, which suggest that expressions of “disdain or disagreement” often manifest in “facetious and non-serious” calls for violence but that they assess context in determining what may constitute a credible threat. While it’s difficult to ascribe any one set of values to the amorphous movement, as loosely collected in the Yellow Vests Canada group, the predominant message is clear: get rid of Trudeau and stop “illegal” immigration. So how did a French protest about the rise of gas prices come to be so vitriolically xenophobic in Canada? The Yellow Vest movement began with a large demonstration in Paris this past November, in response to growing inequality and frustration with what was seen as French President Emmanuel Macron’s favourable treatment of the wealthy. French drivers are required to carry a yellow vest in their cars so that they can be highly visible in case of roadside stops or emergencies, so because the movement was initially sparked by rising gas prices, protesters felt the apparel appropriately symbolic: everyone affected by the increase already had a vest on hand. The distinctive garment has since been adopted by various demonstrators around the world, protesting myriad causes. Outside of France, the movement often bears a distinctly anti-immigrant tone. The first Yellow Vest protest in the United Kingdom took place in December, comprised of activists “advocating Brexit and accusing the government and mainstream politicians of betrayal,” explains The Guardian’s Ben Quinn. “It was originally associated with pro-Brexit activists, and through time it became clear that some of these people had sympathies with the far right,” he tells CANADALAND. Whatever the French movement originally sought to address, its global expansion seems to be riding a larger wave of right-leaning, neo-populist anger at perceived injustices. In Canada, the appropriation of the French movement’s iconography bears a strong resemblance to the right-wing British iteration. Mosleh says that, initially, the protesters appeared to be motivated by concerns over jobs and the energy industry, but increasingly seemed to be made up of groups concerned about what they refer to as “mass migration.” The more he spoke with people at subsequent rallies, the more pervasive he found that sentiment. “There was definitely a strong undercurrent of fear of a horde of immigrants coming into Canada. A lot of talk about mass migration, mass immigration, and illegal immigration. And a lot of talk about ‘globalism,’ too,” he says. The Canadian Yellow Vests appear to have formed in early December. Canadian Political Accountability’s Jim Blake thought at first that this might prove a useful conduit for protest. He had been contacted by someone in the Edmonton area who was looking for help in promoting the rallies, and he helped to do so for events in Edmonton and Red Deer. “Initially when I looked at it, to me it looked like a movement giving people who are discontent with government abuses an outlet and a means by which they could publicly display their concern for the manner in which government was treating their taxpayer dollars,” he says. But he became apprehensive about the tone of some parts of the movement. “My concern with it, and one of the reasons why we pulled back from actively promoting Yellow Vests events, is where it went with France. It’s a very violent approach, and that’s not something that we have ever advocated for. We believe in peaceful protests,” Blake says. 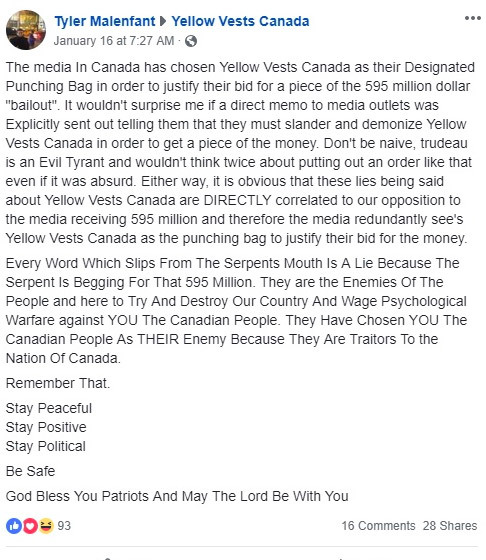 Curious about the French protests, Allen from Edmonton joined the Yellow Vests Canada group in mid-December. What he encountered “didn’t look anything like” the French version, he says. Instead, he learned that the Wolves of Odin, a Soldiers of Odin splinter group, were a dominant presence at the Edmonton rallies. They helped to organize events, and videos showed their members pushing around people who disagreed with them. From these videos, Allen learned that the virulently racist comments “being said on the group [were] also being said at the rallies.” So he decided to do something about it. 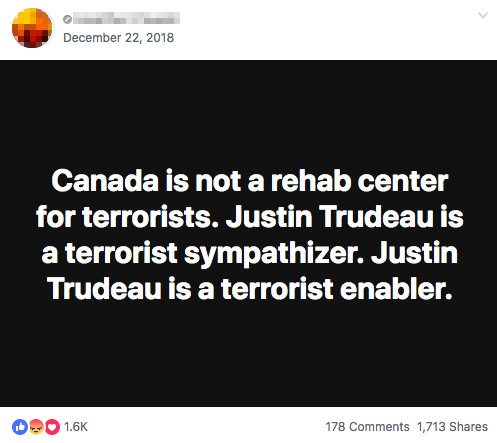 Since December, Allen and two associates have been documenting the worst of the comments in the Yellow Vests Canada Facebook group via a Twitter account called Yellow Vests Canada Exposed. Allen asked to be identified by only his first name out of concern for his safety. That concern appears to be well-founded. When Justin Trudeau visited Kamloops earlier this month, a number of groups convened in the BC city to demonstrate for various causes. Among them were Wet’suwet’en protestors, pro-resource “brown bag lunch” demonstrators, and the Yellow Vests. Many of the latter came from outside the city, trekking in from Kelowna, Vancouver, and Alberta. Brett Mineer, a host and producer for Kamloops’s Radio NL, says that when his news director returned to the studio following the protest, he told Mineer of how “other journalists were being harassed by some members of the group” and that it was reminiscent of some Trump rallies in the States where members of the media become targets. The response to the tweet was initially positive; it was retweeted by a local MLA, then by high-profile NDP MP Charlie Angus. “For the first 24 hours, it was all just retweets and likes,” Mineer says. The next day, Mineer decided to do a segment on his show following up on some of the reporting he’d seen on the “nastier elements” of the Yellow Vests. 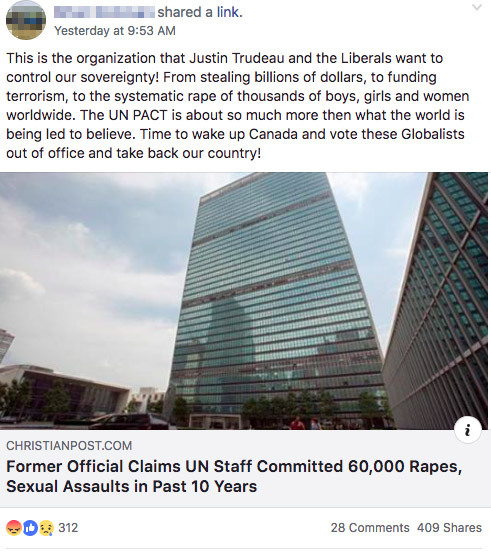 Stewart Bell of Global News had written about the openly white supremacist comments and death threats against Justin Trudeau in the Facebook group. “Then he started receiving threats and vitriol, and a lot of it was specifically anti-Semitic,” says Mineer. Bell wasn’t available to appear on his show, but Mineer continued with the report, aided by Yellow Vests Canada Exposed. Things quickly escalated when comments appeared suggesting someone wait outside the station to accost Mineer; others called for his wife to be sexually assaulted. In subsequent conversations with police, Mineer says the RCMP told him they were monitoring the Yellow Vests across the country. A colleague of Mineer’s got into an argument with a Yellow Vests supporter online, and he says she soon found herself unable to return home from work one day after someone from the group posted her address. 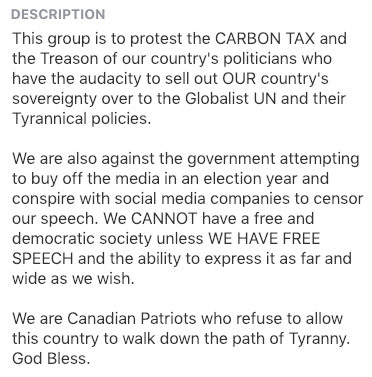 Yellow Vests Canada members were allegedly encouraged to show up to her home and speak their minds. While growth of the movement has slowed, there’s no indication that the Yellow Vests will be finished any time soon. Weekly protests continue across the country, and a planned convoy from Alberta to Ottawa in mid-February has so far raised over $30,000 toward its efforts. There is a genuine frustration with Canada and Justin Trudeau among the Yellow Vests, something best understood by acknowledging that they truly believe that Canadian democracy is under attack, and that the prime minister is leading the charge. “We have a guy who’s acted in a way that really is treacherous against Canada,” he says of Trudeau. 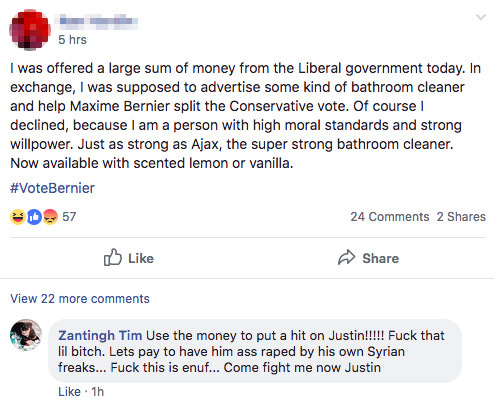 While the long-term future of the Canadian Yellow Vest movement is unclear, there is no doubt that this rampant animosity has found both a medium (through Facebook) and an outlet (through protest). Expect to hear more of this kind of vitriol, in one form or another, in the run-up to this fall’s federal election. Top photograph taken by David Crosbie at the Hamilton, Ontario, Yellow Vests protest on January 26. Correction (January 28, 2019, 4:05 p.m. EST): This article originally stated that Prime Minister Justin Trudeau had visited Kamloops in December. In fact, he visited January 9.